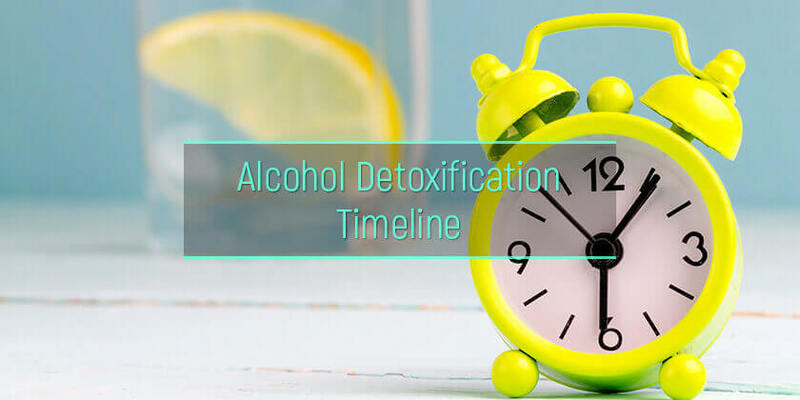 Alcohol Detox Timeline: How Long Does Alcohol Detoxification Take? Detox is a process of removing toxins in the body. How long to detox from alcohol would depend on biological factors and practices. How long does it take to detox from alcohol addiction varies from one patient to another. Every time one drinks alcohol, the body naturally starts to cleanse through the liver. It metabolizes ethanol and excretes it from the system. However, patients who drink more often may take a longer time to detox because they are always adding more to their body. If he or she chooses to get sober, the first thing that must be done is to stop drinking spirits and let the body detoxify. What is the standard alcohol detoxification timeline? Which factors affect detoxification timeline? Is rapid alcohol detox possible and safe? How to speed up alcohol detoxification? Alcohol detox process is triggered when an alcoholic stops drinking spirits. As soon as the liver starts to metabolize ethanol and moves the drug through the body, withdrawal symptoms will start to appear. It takes around 30 minutes to 2 hours for the body to absorb a single serving of alcohol in the circulation. There is no specific alcohol detox time. Patients experience the path to recovery differently. For some, the timeline may last for days; for others, it lasts for months. Detox happen over time, and as the levels of alcohol become progressively lower, withdrawal symptoms may start to appear. The symptoms of alcohol detox can be dangerous if not done correctly; hence a medical professional must be consulted before suddenly stopping drinking spirits, especially if the patient is a heavy drinker. It is important to know that no matter how addicted one appears to be on liquor, it is never too late to intervene. However, it is normally held that withdrawal will follow a general timeline as laid out by the National Library of Medicine. Alcohol detox starts 6-8 hours after the patient takes his or her last drink. He or she will start to feel minor physical withdrawal symptoms and changes in mood or behavior in these stages of alcohol detox. Common symptoms include nausea, vomiting, headaches, loss of appetite, mood swings, depression, and anxiety. Moderate symptoms will start to show off within a day or two after a patient stops drinking spirits. These are more intense and commonly affect vital signs. Common symptoms during this alcohol detox time frame include high blood pressure, respiration, fever, tachycardia, and sweating, confusion, and irritability. Severe symptoms appear within the 3-day alcohol detox timeline. These include seizures and delirium tremens (DTs). Both can show up without warning and are fatal. It is estimated that 3-5% of patients in alcohol withdrawal suffer from DTs. For this reason alone, the withdrawal must be closely monitored by a medical doctor. Delirium tremens is a clinical syndrome that occurs when patients who have severe alcohol use disorder experience a sudden decrease in alcohol levels in their body. DTs is considered to be the most severe manifestation of alcohol withdrawal. How long alcohol detox last can be affected by several factors. The main goal of detox is to make guarantee a comfortable and safe start to an addiction treatment program. Alcohol detox protocol may differ from one patient to another, and there are certain factors that can affect the severity and duration of the process. The first and most important factor is the length of time a person used alcohol and the amount that he or she was using at the time use was discontinued. Patients who have used large amounts of liquor, over regular intervals, for a longer period of time are expected to experience more severe and lengthy withdrawal symptoms. Another important factor is the method of cessation. Patients who abruptly stopped drinking spirits will start to experience severe withdrawal effects that may last longer. Those who cut down on liquor use gradually will less likely experience intense withdrawal. The individual differences in both physiology and psychological make-up such as age, genetics, and mental status, will also play a role in the determining the intensity and how many days does it take to detox from alcohol. It is important that during the detox process, patients invest in detox drinks for alcohol and healthy diets, take routine rest periods, and refrain from doing extreme physical activities. Normal detox programs, as per general guideline, will have 1-2 weeks duration. Patients are closely monitored until the patient completely eliminates intoxicants in his or her body. With rapid detoxification, the patient is put under anesthesia. IV medications are given to complete the elimination process within 4-6 hours duration. Patients will have to remain in the facility for another day or two after the procedure. One of the main benefits of rapid detox is that it quickly eliminates uncomfortable and life-threatening withdrawal symptoms. This makes it easier to convince alcoholics to seek professional help sooner as there is less or no fear of withdrawal. Rapid detox is generally safe as long as it is done in a clinical setting with the supervision of a medical professional. There have been cases of a heart attack while going through rapid outpatient alcohol detox. Teas can help boost the detoxification of alcoholic compounds in the body. The treatment of green tea and honey chrysanthemum tea could accelerate ethanol metabolism while preventing liver injuries. Another study proved the efficacy of green tea acts as a potent antioxidant in alcohol intoxication. It protects membrane phospholipids from peroxidation. These results show a beneficial effect of green tea in the treatment of alcoholism. Patients can either take supplements or eat foods that naturally contain probiotics like pickled food or yogurt. The bad effects of chronic drinking on the normal gut bacteria and the benefits of using probiotics in livery injuries have been well established by the study of Kirpich et. al. Results showed that patients with liver injury due to liquor consumption had altered bowel flora as compared to non-drinking individuals. 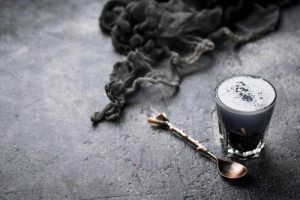 Short term use of probiotics supplements has helped restored normal bowel flora and improved liver injuries than standard drug and alcohol treatment programs alone. Asparagus is a vegetable well-known worldwide. It has long been used as an herbal medicine to treat several diseases. Surprisingly, it can also help give a patient’s liver a fighting chance. Cellular toxicities induced by ethanol, hydrogen peroxide, and tetrachloride carbon were significantly alleviated in response to treatment with Asparagus extracts. The activities of two important enzymes that metabolize ethanol, aldehyde dehydrogenase, and alcohol dehydrogenase, were also upregulated by more than 2-fold. These provide strong biochemical evidence that Asparagus extract can help alleviate hangover while protecting the liver cells from toxic insults. Alcohol and drugs can affect each other’s absorption, distribution, metabolism, and excretion. Patients must not take drugs without a doctor’s prescription. Pyrazoles and Isobutyramide, which inhibit ADH, and Methanol and Ethylene glycol, which compete with ethanol for ADH can all decrease alcohol elimination rate. Disulfiram inhibits elimination of acetaldehyde, thus slowing metabolism. Alcohol addiction can take a serious toll in a person’s life, and yet many continue to abuse it knowingly because they are afraid of the symptoms of withdrawal. But there should be nothing to fear as long as detox is done correctly with the help of a medical professional. Cleansing is the first step to getting a patient’s normal life back. Following detox, one will be ready to enter an alcohol abuse recovery center for rehab and learn the many sober living skills to help the lifelong process of recovery.